No, it's not ok to ride unclothed. However, it is ok to ride wearing clothes that feel like you're riding unclothed. Do you follow? The Mavic Cosmic Pro glove is a perfect example of what we like to call "no-clothing clothing." Sure they only cover your hands, but they're so light and breathable it's like they're not there. Mavic achieves this through a thin, durable palm construction for excellent bar feel, and ergo tabs on the fingertips for easy removal. The back of the hand is made from ultra-light, ventilated open mesh fabric with micro laser perforations for no shortage of breathability. Then there's the soft wipe sewn into the thumb and forefinger to keep sweat out your eyes. And that basically it! No padding. No wrist strap. Just three superlight fabrics ergonomically fashioned for a great fit and a natural feel at the lowest possible weight. Pro: Glove fits well and is made out of quality materials. Con: Material seams come together in a bad spot on the web between the thumb and pointer finger. 4 pieces of material form one junction right at the wrong area. If you ride your bike less than 10 miles at a time, these gloves will be fine. 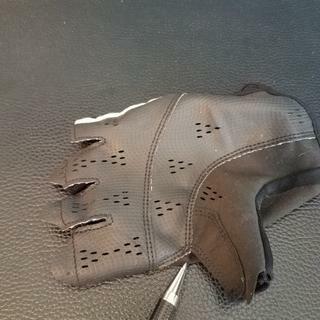 However, my first two rides with the gloves resulted in a hot spot after 10 miles and 20 miles into my rides I had to take them off. Will use when I cruise to the river (bar). how does this fit compare to Pearl Izumi or Giro? Mavic jerseys run small, so i wonder if the same holds true for their gloves and bibs.